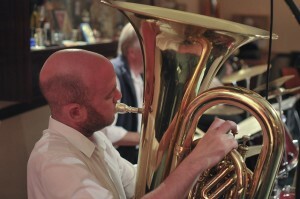 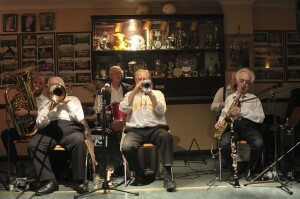 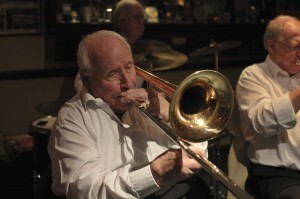 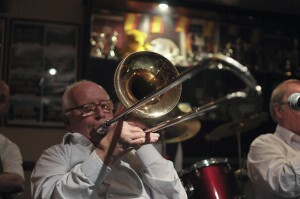 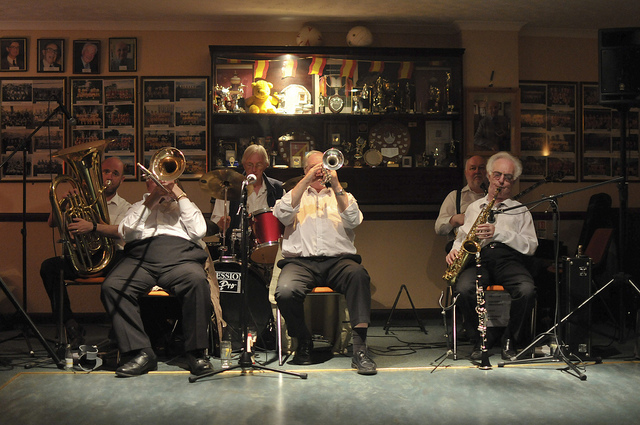 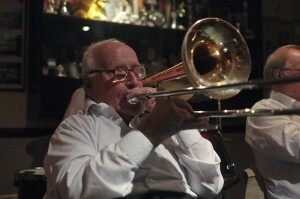 Friday, 27th January 2012, we have that happy little band ‘The Original Eastside Stompers’, or TOES, as I call them. 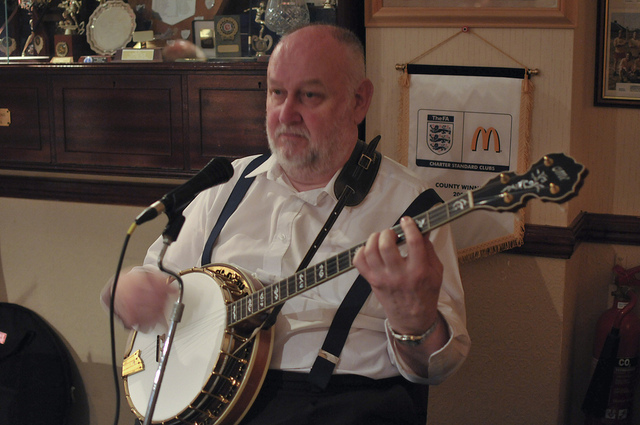 They originate from Essex and have been playing for us for, oh I don’t know, I will have to look it up, but it has to be at least 16years. 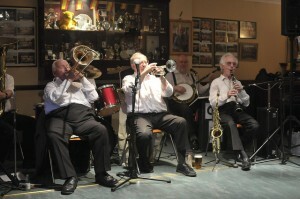 Anyway, they are a ‘family’ band to us. 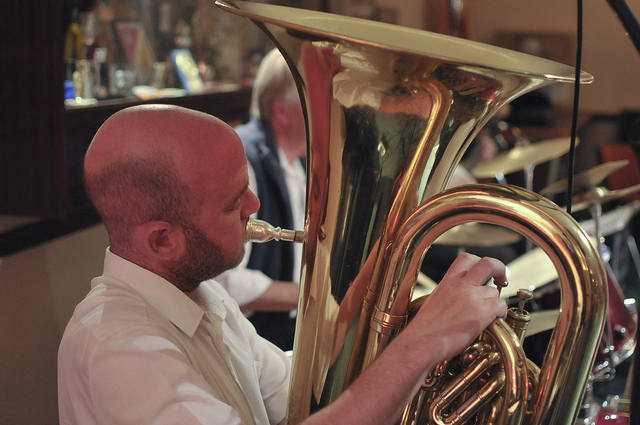 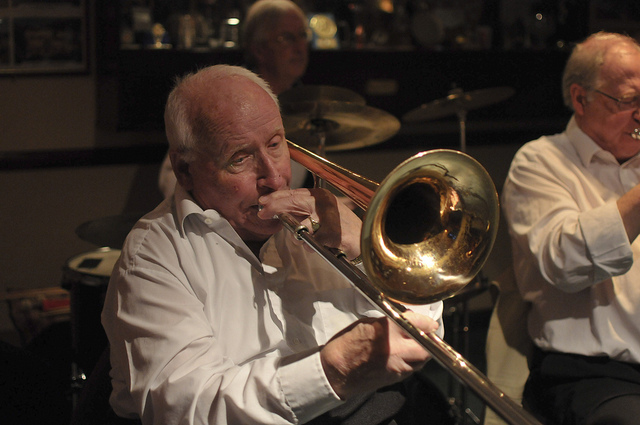 The musicians will be John Shepherd on trumpet, ‘the romantic’ Ronnie Findon on clarinet&vocals, John Howlett on trombone, Roger Graham on double bass&Souza, Graham Collicott on drums and (the toes man himself) Brian Laurence on banjo. 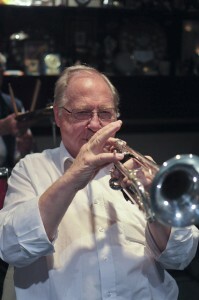 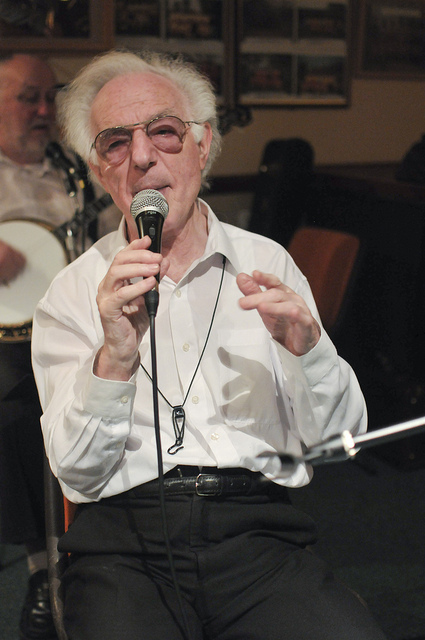 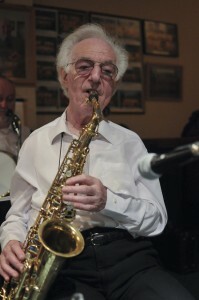 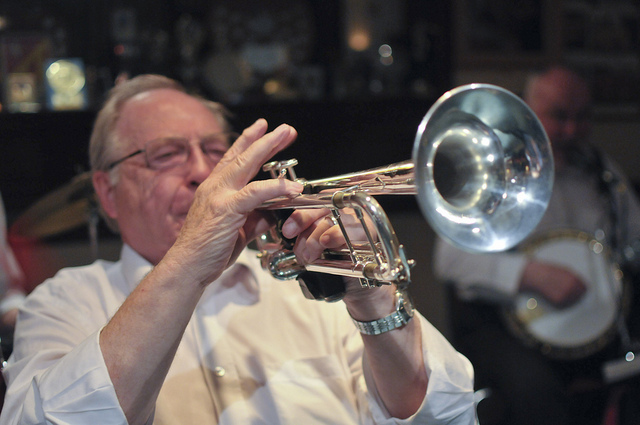 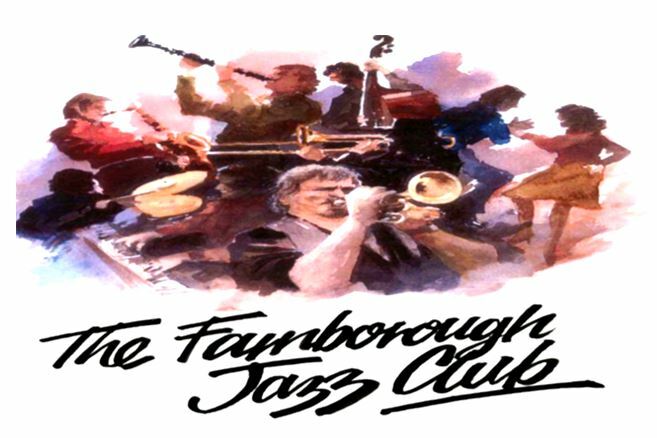 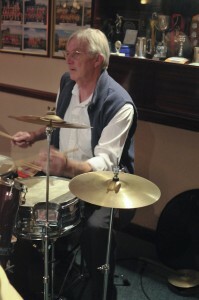 Lovely leader Lennie Hodgeson retired for just over a year ago and we still miss him and his natty intros “Here’s a lovely ol’, lovely ol’ number called ….” He was 88yrs of age 10 days ago, so “HAPPY (belated) BIRTHDAY LENNIE, FROM ALL OF US HERE IN FARNBOROUGH JAZZ CLUB”. This entry was posted in The Original Eastside Stompers on November 9, 2014 by Diane.